We Provide Excellent Professionalism and Immediate Assistance With Weather and Hail Damage. 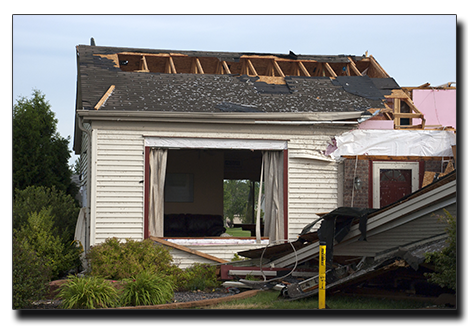 When it comes to hail damage, you want immediate and thorough assistance to repair the damage to your home after mother nature takes its toll on your home. We aim to provide homeowners with a trustworthy and timely hail damage repair service that they can count on. Our fast and professional results will limit your hail damage and minimize further damage caused by exposure. If your roof was damaged by a hail storm or other bad weather, the AJ team will provide immediate and professional assistance. Every team member at AJ Construction is experienced and qualified to take care of any dent repairs your home needs. Whether it’s hail damage to your roof, siding or windows, we would be happy to reverse the damage. We are confident that you will be happy with our hail damage repair and service that we will give you a coupon for $500 cash back towards your roofing project. What Does a Hail Damage Evaluation Include? 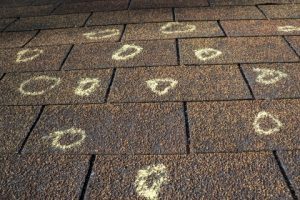 When we evaluate your hail damage, we’ll check to see what exactly the effects were on your home. Our dent repair is helpful, but sometimes you’ll need a full replacement. We will also evaluate your roof to see what effects high winds and flying debris had on it. If your home has been affected by hail damage, high winds or overall bad weather, then you could be owed an entirely new roof. We will work with your insurance company to fix and replace your hail damaged roof or siding. Call us for dent repair and more and get a free estimate!